One of the most spicy and bitter Fizz drinks I've ever tried. The recipe calls for a ton of bitters, more Pernod than is usually healthy, and a little gin to give the ingredients room. This might be a great hangover drink as the words "Pick-Me-Up" imply. And I can see the appeal of so much flavor as well as fizz. 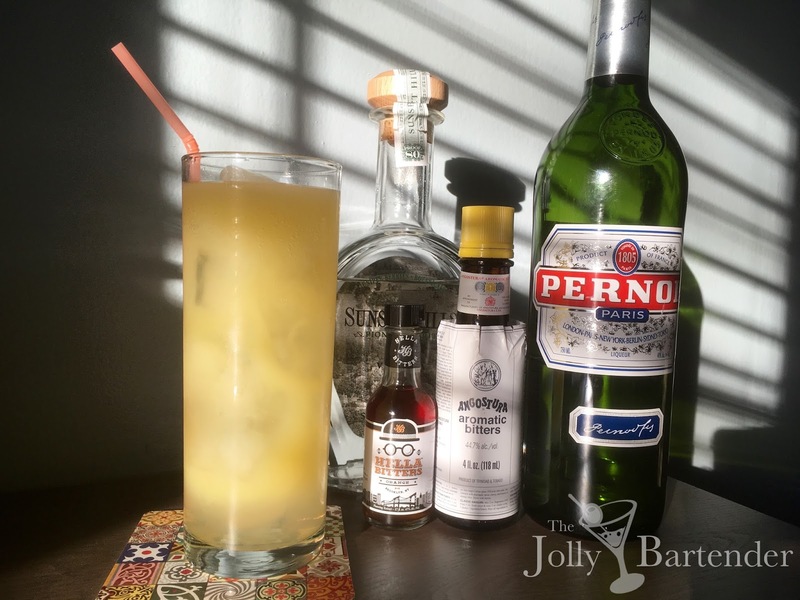 Being a Pernod drink with lots of anise flavor makes this drink related to the Nineteen, a spicy "up" drink. This was stronger, though, and soda helps push the alcohol along and make it easily crushable. Combine all ingredients except soda in a shaker with ice. Shake and strain into a Collins glass filled with fresh ice. Top with soda and stir gently.